This is the great thing about sports! Tremendous achievement by legendary golfer, Tiger Woods! Beset with injuries over the past several years along with turmoil in his personal life, he gets to have his day in the sun in glory! Nearly 11 years after his last major victory — the longest drought in golf history — Woods won the Masters by 1 stroke with a bravura 70 final round, keeping his head while the best of the next generation of golfers lost theirs. Six golfers held at least a share of the lead over the day, five tied with only a handful of holes left. 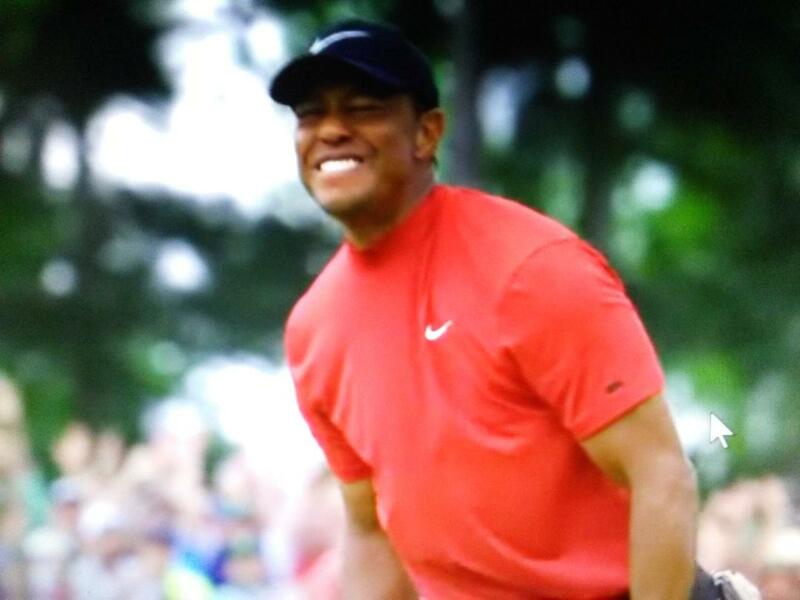 But as it was in 1997, so it was 22 years later: Woods walking off the 18th green to delirious cheers, another green jacket awaiting him — his 15 major win in total. But, a heck of an achievement!